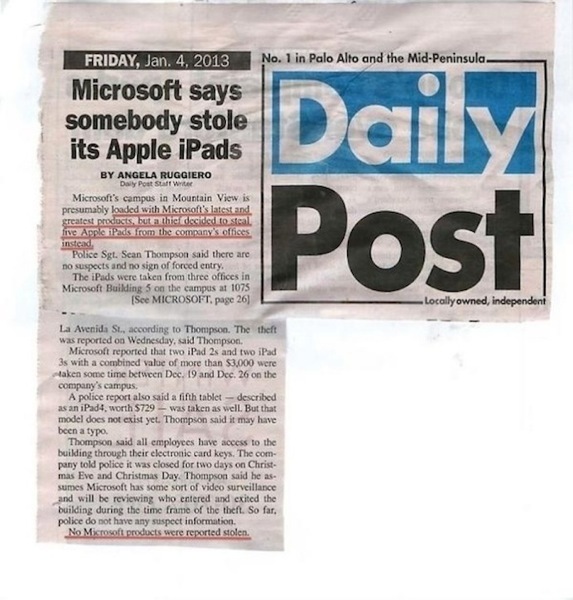 Unfortunately no Microsoft products were stolen because anything of important value probably because it would locked away. Thieves probably have better things to do than to try and pawn off a Windows 8 desktop on Craigslist, but an iPad? That’s fair game. Regardless, this is one heck of a story. You can’t make this stuff up.